Quick and easy access to all our features on any device. So you and your employees can get back to what matters – building your business. Take control of your employees’ absenteeism and increase efficiency. Employees can request time off or clock in / out from any device. 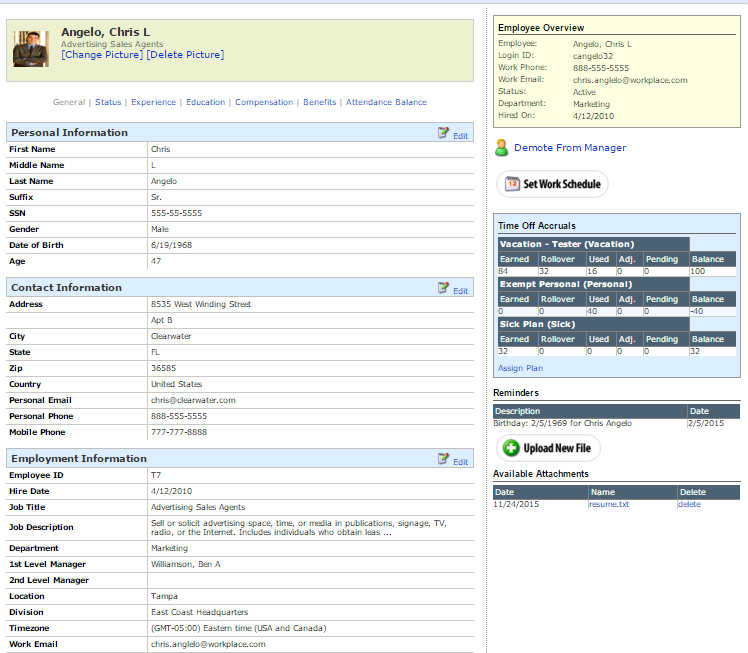 Express approval interface makes it easy for a manager to approve / deny a request with the click of a mouse. Email reminders and notifications are sent automatically. Write professional quality reviews in minutes. Set goals and track the progress made by the employees. Analyze the progress and use the statistics to prepare performance reports and reviews. Thousands of pre-written sentences will streamline the review process. 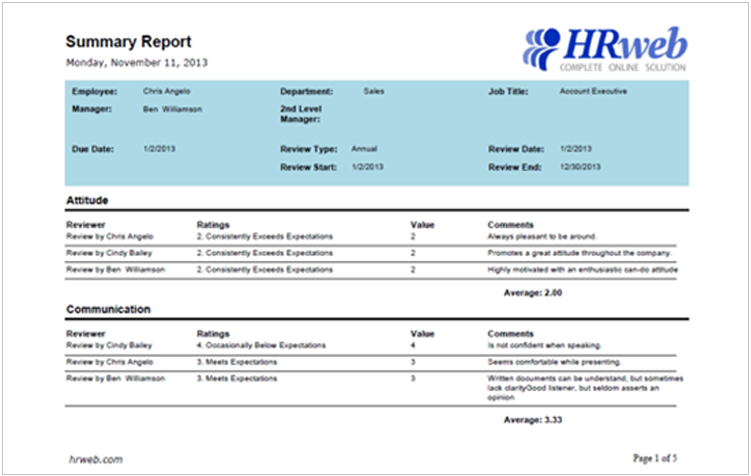 Designing your review criteria is easy with HRweb's customizable templates. Supports 360 Reviews, Self Appraisals, and Peer Reviews. Document Employee activities and effectively track employee behavior. Incident tracking is essential and it's important to be proactive when dealing excessive absenteeism, accidents, and other issues that may arise. Tracking accomplishment is an essential part of morale and will improve retention. 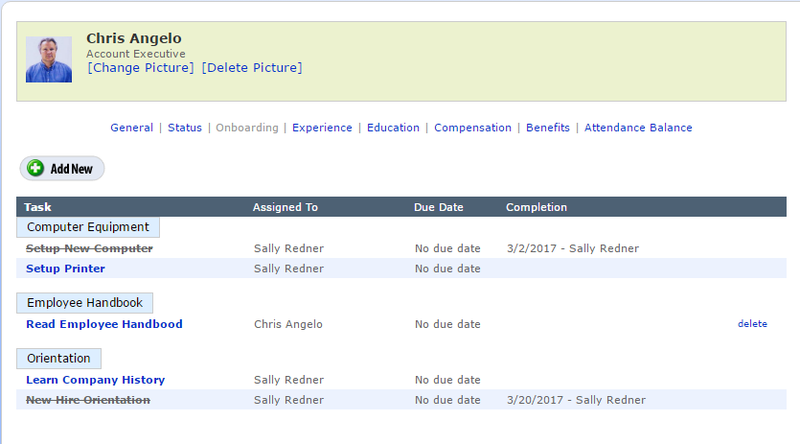 Also, HRweb let's you track the entire training history of employees. 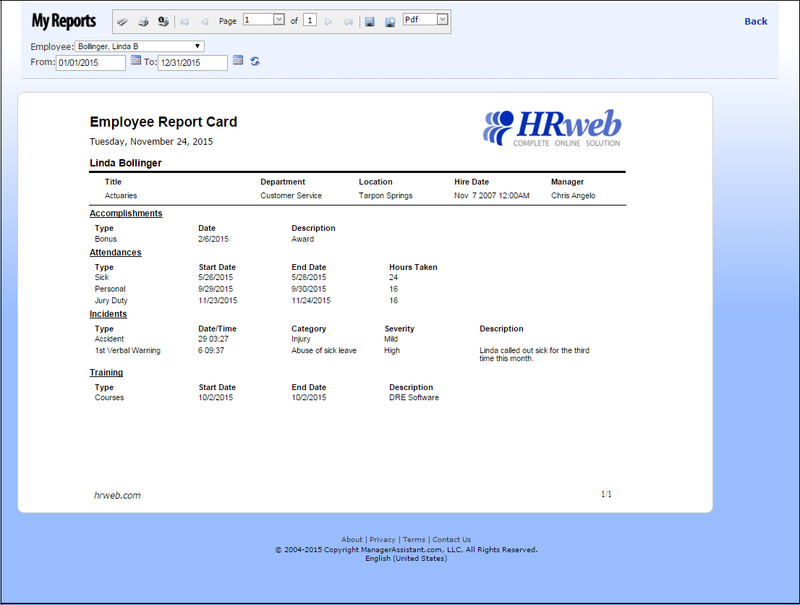 HRweb is integrated with all versions of QuickBooks. Reduce redundancy and ensure seamless and automatic synchronization of your employee information and time tracking data. 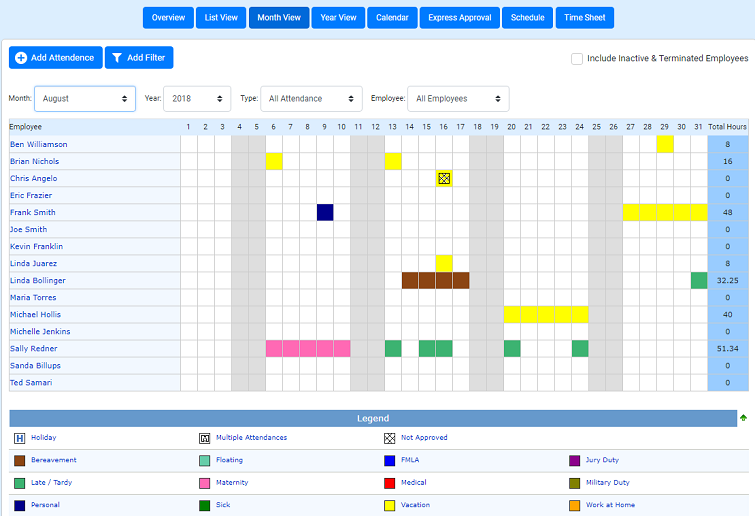 HRweb Timesheet entries are added to QuickBooks' time sheet automatically. ADP integration with Employee data and Time Tracking will be available in 4th quarter 2018. We currently generate a CSV file that imports into ADP with employee hours, PTO, and Project Tracking. Our applicant tracking system is now integrated with ZipRecruiter®. 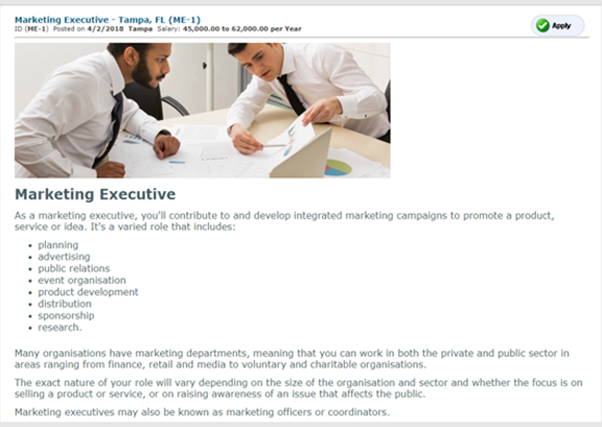 Ready to take a step towards managing your workforce more effectively?